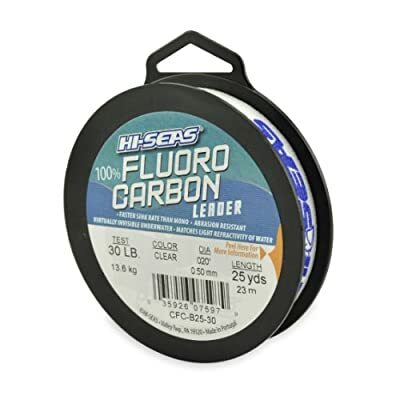 HI-SEAS 100% Fluorocarbon is made from the highest grade of pure polyvinylidene fluoride and extruded to exacting quality control standards. It matches the light refractivity of water making it virtually invisible. It’s ideal for use as invisible leaders - if you use braid or colored line, adding a leader of HISEAS Fluorocarbon increases hits and provides extra security against chafe and abrasion.